I recently traveled to New York and made my annual visit to Chatsworth Auction Room in Mamaroneck, NY. This warehouse has been owned and operated by the same family since 1924. 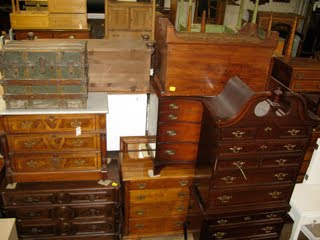 Piled high are pieces from the Neoclassical and Federal periods ( and much more! ), not to mention oils, china and curiosities.